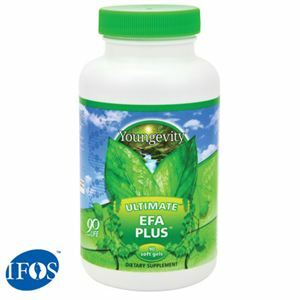 This rich formula may help to reduce the appearance of wrinkles, dark circles, and under-eye puffiness. 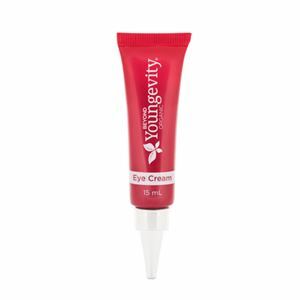 Moisturize the delicate skin under and around the eyes with this rich, soothing eye cream. Ingredients are 100% certified ToxicFree® from natural, organic and wild-crafted sources. Not tested on animals. DIRECTIONS: Apply twice daily under and around the eyes. Best when used after AM Moisturizer. Organic, Wildcrafted Botanical Infusion [Camellia sinensis (White Tea) Leaf Extract*, Structured Spring Water, Wildcrafted Carya ovata (Hickory) Bark Extract**(1), Phoenix dactylifera (Date) Fruit Extract*, Ficus carica (Fig) Fruit Extract*, Olea europaea (Olive) Fruit Extract*, Punica granatum (Pomegranate) Extract*], Sunflower Lecithin Blend [Glyceryl Stearate** (Plant), Polyglyceryl-3 Stearate** (Vegetable Glycerin and Palm Oil), Sunflower Lecithin** (Phospholipid)], Carthamus tinctorius (Safflower) Oleosomes*, Amazon Jungle Trio [Glycerin, Water, Caprylyl/Capryl Glucoside, Pfaffia paniculata (Brazilian Ginseng) Root Extract, Ptychopetalum olacoides (Muira Puama) Bark/Stem Extract, Lilium candidum (Madonna Lily) Flower Extract*], Argania (Argan) spinosa Kernel Oil*, Sodium Hyaluronate (Plant-Derived Hyaluronic Acid)**, Cetearyl Olivate, Sorbitan Olivate (Olive Derived)**, Water, Chlorella Vulgaris (Green Microalga) Extract**, Vegetable Glycerin**, Botanical Preservation System [Lonicera caprifolium (Honeysuckle) Flower Extract, Lonicera japonica (Honeysuckle) Flower Extract**], Helianthus annuus (Sunflower High Oleic) Seed Oil*, Glycerin, Water, Avena sativa (Oat) Extract**, Camellia japonica (Green Tea) Oil*, Beta-glucan (Oat)**, Rosa damascena (Bulgarian Rose) Flower Oil*, Myrtus communis (Myrtle) Oil*, Commiphora myrrha (Myrrh) Resin Oil*, Cetyl Palmitate, Sorbitan Palmitate, Sorbitan Olivate (Olive Derived)**, Montmorillonite (Green Clay Extract)**, Cellulose Gum (Plant Thickener)**, Avena sativa (Oat) Kernel Oil**, Xanthan Gum**(1), Rosa canina (Dog Rose Hips) Fruit Oil*.